This page documents the main body assembly phase of the project. 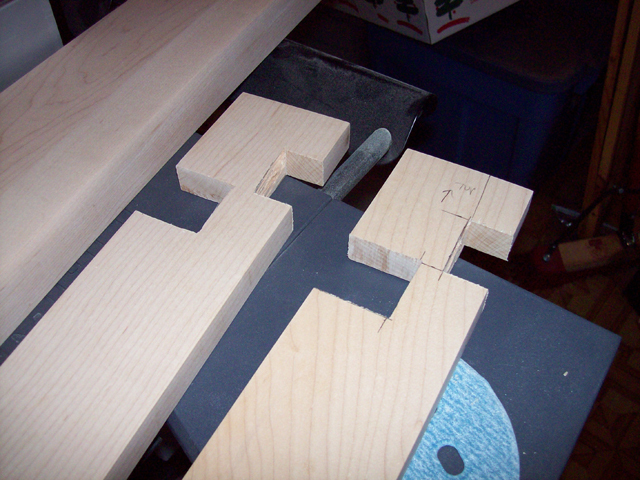 Up to this point, I have been cutting parts and making smaller assemblies. This is the stage where the skeleton parts and small assemblies come together to actually begin to look like a cabinet. 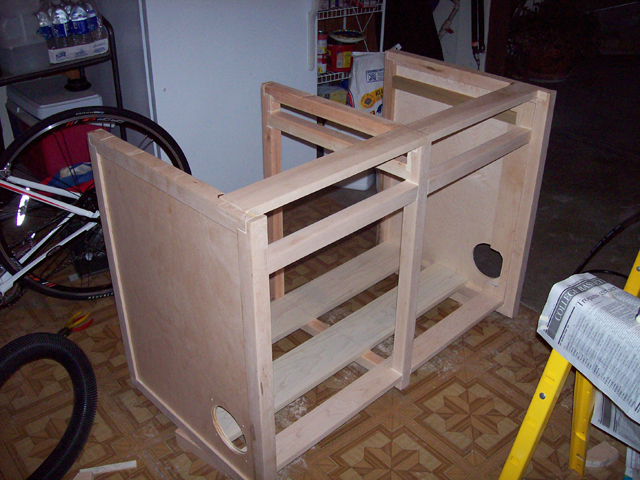 It is at this stage when my wife finally thinks that a finished cabinet may be in our future. 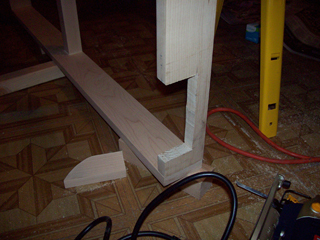 The front frame pieces with the notching needed for assembly. 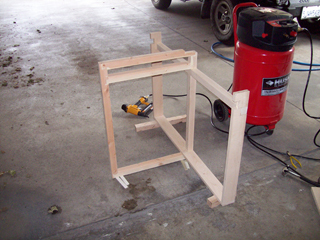 Close-up view of the side supports of the front frame. 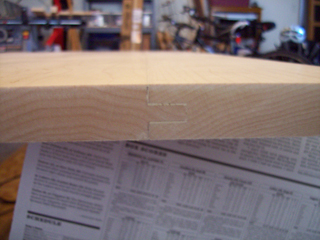 The notches were chiseled. 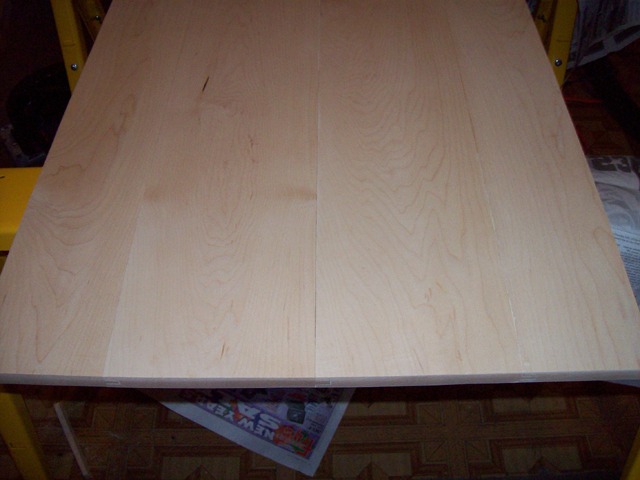 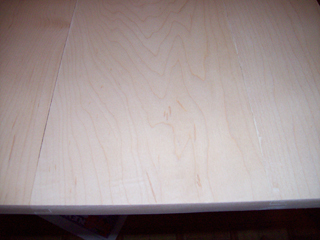 The top after being sized, puttied, and smoothed. 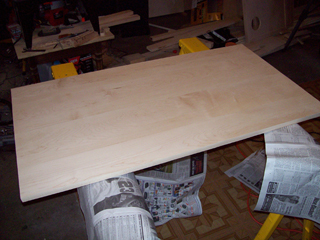 Another view of the top after working it over. A close-up view of the top after working it to size and smooth. 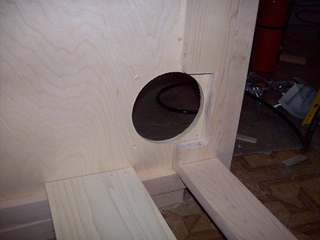 A close-up view from the side of the tongue and groove joint of the top. The parts finally ready for the main body assembly. 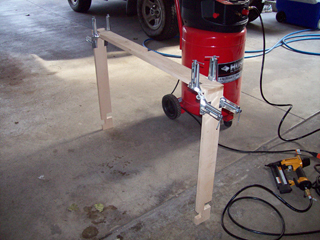 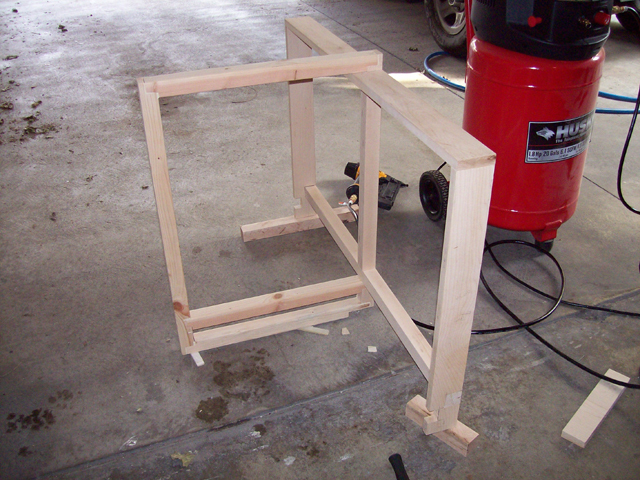 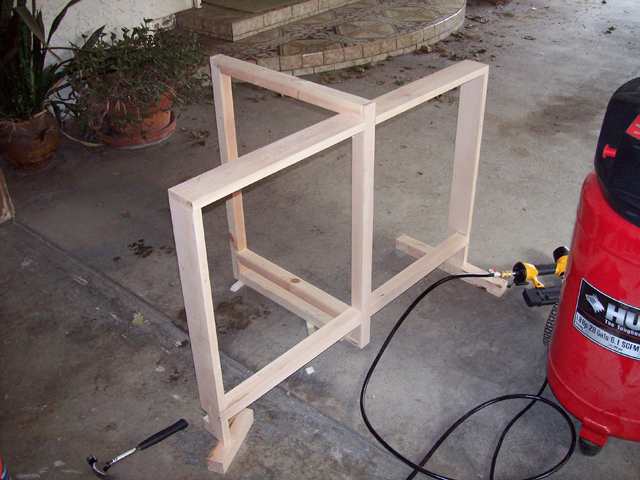 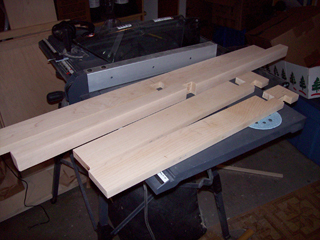 Initial assembly of the front frame using corner braces. 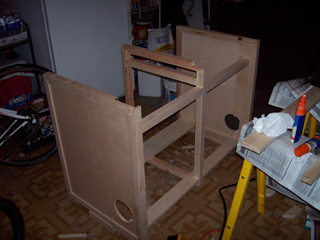 View of the main skeleton assembly from the bottom and rear. View of the main skeleton assembly from the bottom and front. 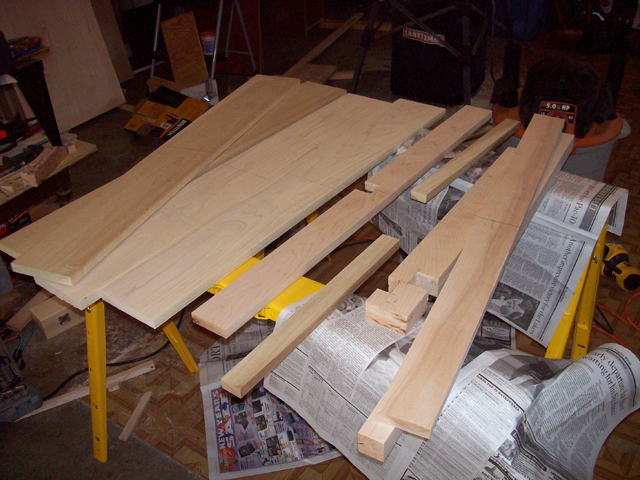 View of the main skeleton assembly from the top and rear. View of the main skeleton assembly from the top and front. 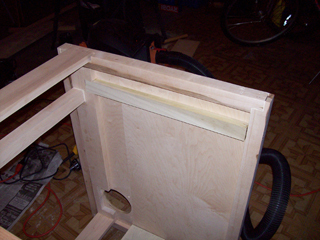 Dry fitting the side reveals that I forgot to take the frame size into account when cutting the fan holes. 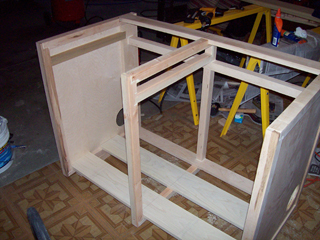 Solved the problem by cutting into the front frame to make room for the fans. 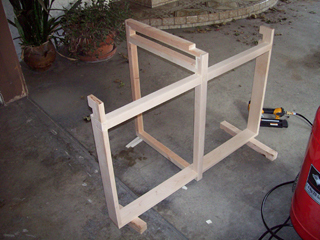 View of the main skeleton assembly from the rear with the sides added. View of the main skeleton assembly from the front with the sides added. Close-up view from the inside of the modification made for the cooling fans. 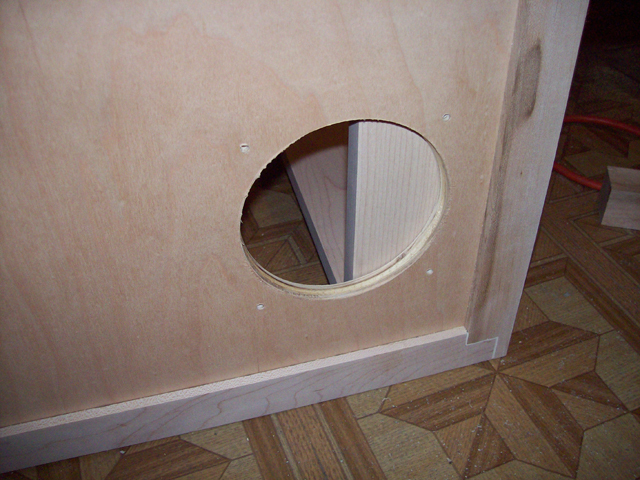 View of the inside details on the side to support the drawer rail. 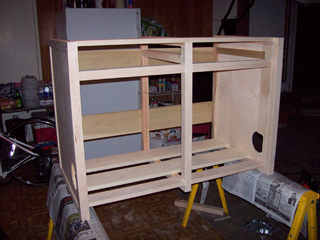 Rear view of the assembled body with the sides and the front cross member and bottom planks installed. Front view of the assembled body with the sides and the front cross member and bottom planks installed. 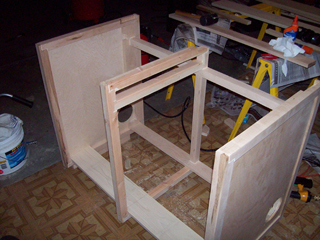 Rear view of the fully assembled body with back braces installed. 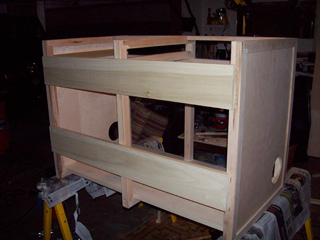 Front view of the fully assembled body with back braces installed.